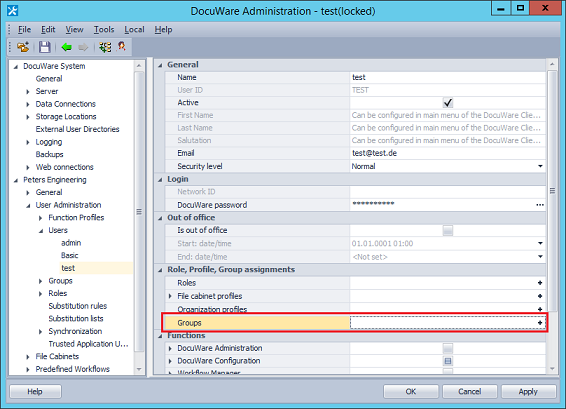 Although a user has been assigned a document tray, it is not displayed in the Web Client. A possible cause of this behavior could be that the user is not assigned to the "Public" group. 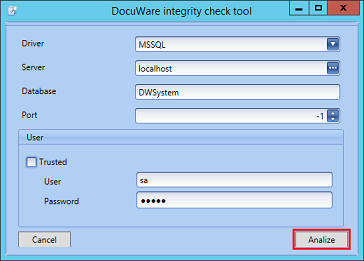 If the "Public" group is not assigned here, run the "DWIntegrityCheckTool.exe" program as administrator (C:\Program Files (x86)\DocuWare\Setup Components). There should be shown a message like this "User test/635592ac-5c30-480e-b419-c92363811333 is not assigned to 'Public' group of organization 1/Peters Engineering!". The user is now added to the "Public" group. 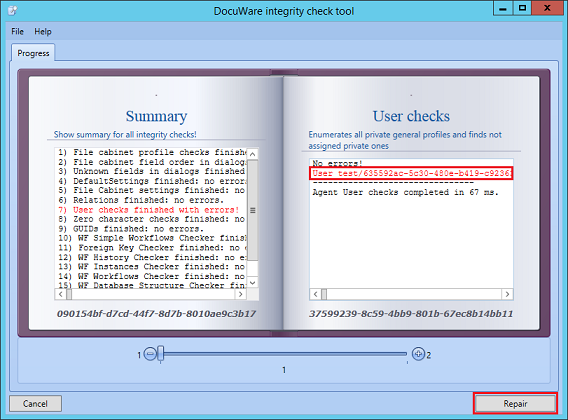 The document trays are now displayed again for the user in the Web Client.